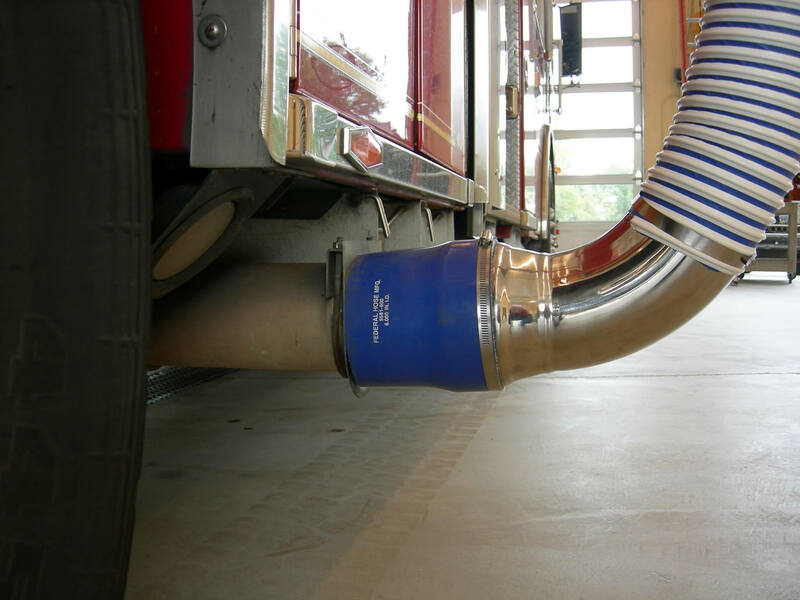 Emergency vehicle exhaust fumes can be a danger to emergency workers. Our system effectively removes the threat. Great for protecting firefighters who frequently work or reside in the firehouse. Specialized mechanisms make attaching and running the exhuast systems effortless. Quick detachment mechanisms for quick emergency exits and 100% source capture systems available. Installation and Freight not included in Pricing. Due to variances in codes/regulations from state to state it is difficult to estimate installation costs. Main stations choose to install the system themselves. 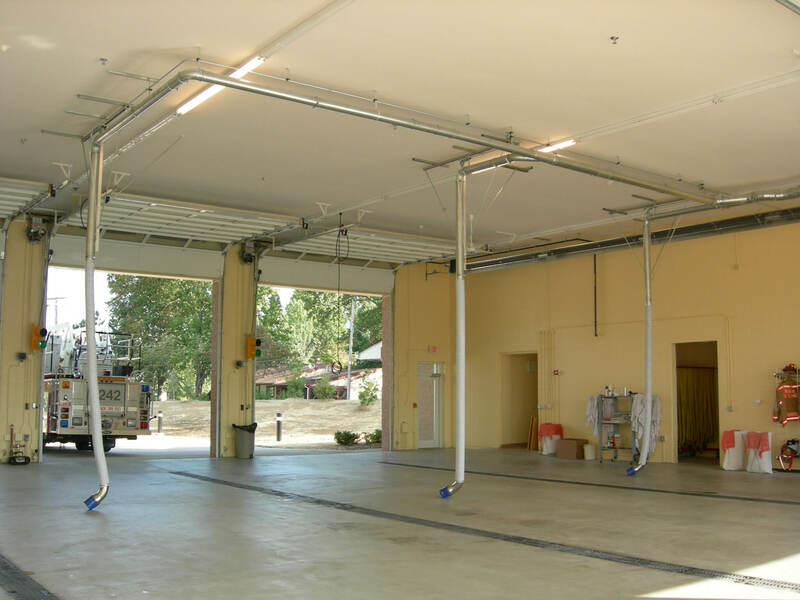 Application: Source Capture Diesel Fume Extraction System Installed at Fire Station, Monarch Fire Protection District. 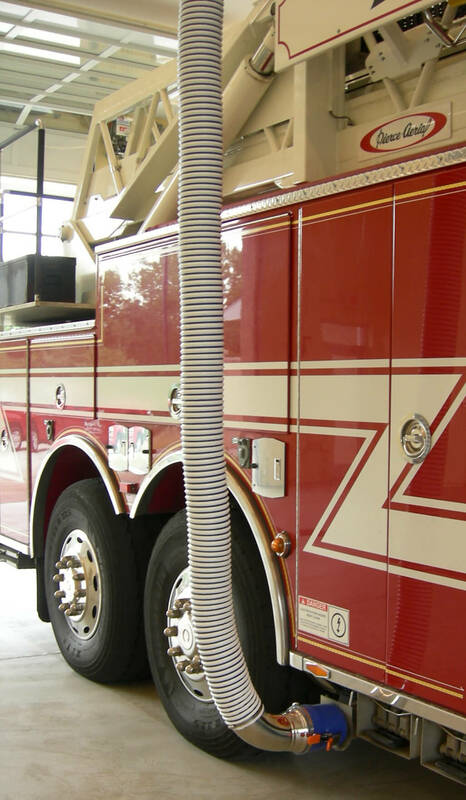 Summary: Monarch Fire Protection District provides the highest quality emergency services to their community through fire rescue and emergency medical services, fire prevention and education. 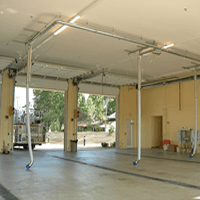 Challenge: The Monarch Fire Department wanted an inexpensive system that was simpler than the system they had in the past. They preferred a no-maintenance system without any ongoing costs. Also, it was important that the system could easily be installed. 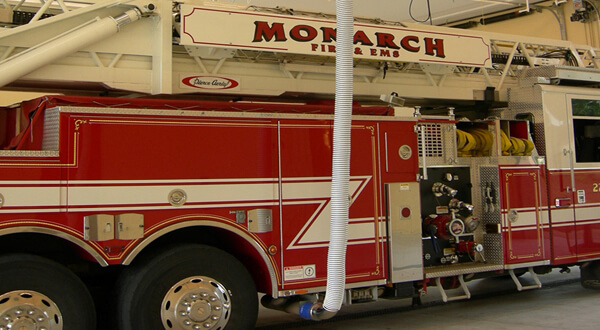 Solution: We were able to help the Monarch Fire Department protect their firefighters and maintain a safe and healthy work environment by source capturing airborne particles. Source capturing minimizes the amount of air that needs to be removed. 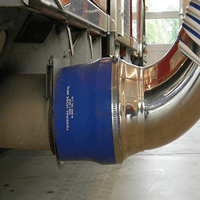 This system captures and extracts all exhaust fumes when engines are running in the apparatus bay. It is simple to use, efficient, and is the most cost effective system for Firehouse and EMS applications. Our systems come ready to install, with all necessary installation guides and drawings. The engine sensor control panel receives signal and automatically activates the exhaust fan and expels the diesel fumes to the exterior when the engines are started. 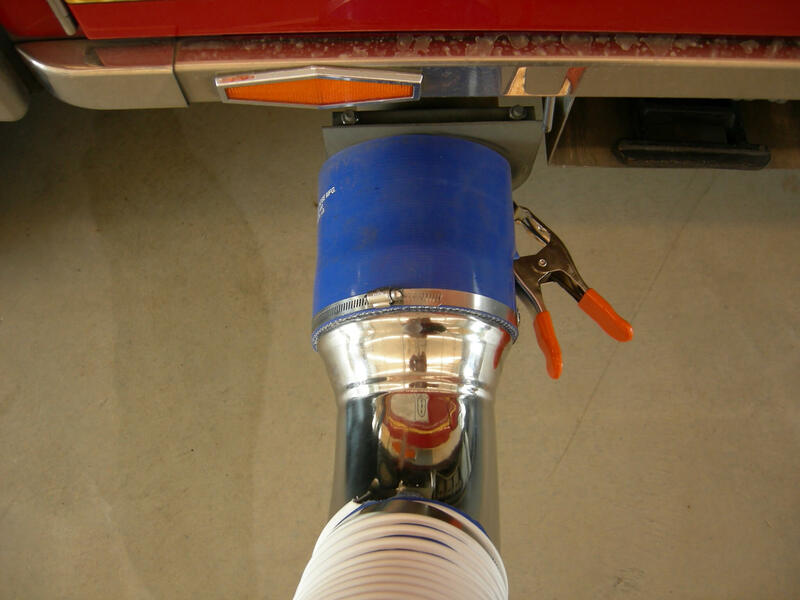 The 100% source capture, “simple drop” nozzle automatically disconnects from the tailpipe when the apparatus exits the engine house. 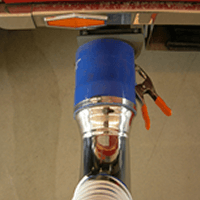 When the vehicle exits out of the garage and the hose disconnects, great pulling forces are put onto the system and our support assembly is designed to prevent any damages. 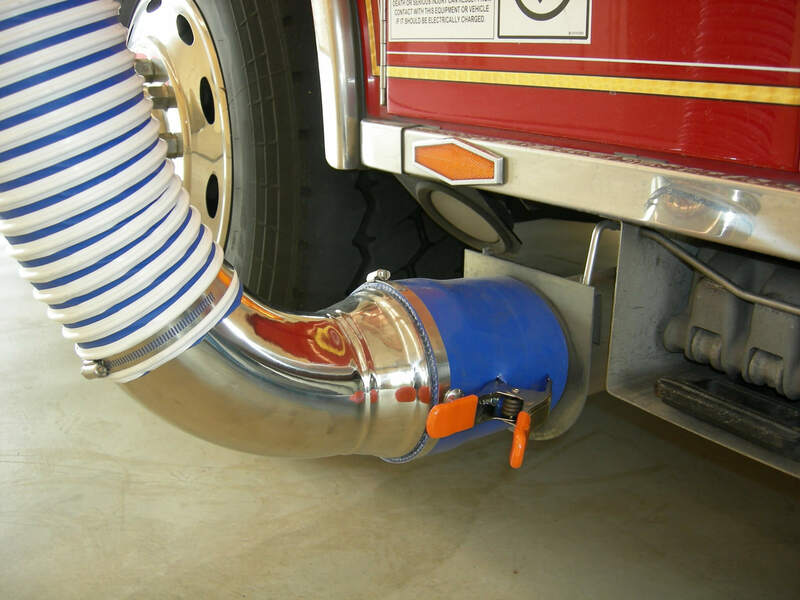 The only time the firefighters touch the system is when the nozzle is connected to the tailpipe. 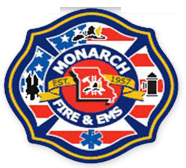 Emergency vehicle exhaust fumes can be a danger to emergency workers and this threat was eliminated from the Monarch Fire Department with our vehicle exhaust capture and removal system. 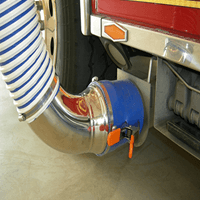 This is a recommended method for controlling exhaust emissions that complies with health and safety standards at fire stations and protects firefighters who frequently work or reside in the firehouse. Specialized mechanisms make attaching and running the exhaust systems effortless. This system has quick detachment mechanisms for speedy emergency exits with a 100% source capture performance meeting various regulations.